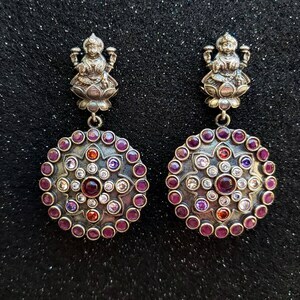 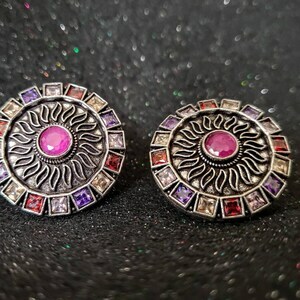 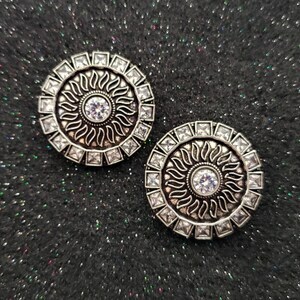 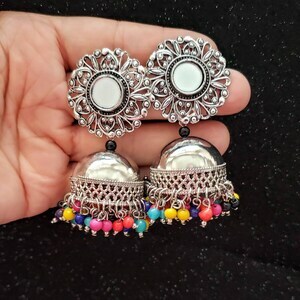 Handmade round pearlJhumka earrings in oxidized silver color, so as to create the patina of a vintage tribal piece. 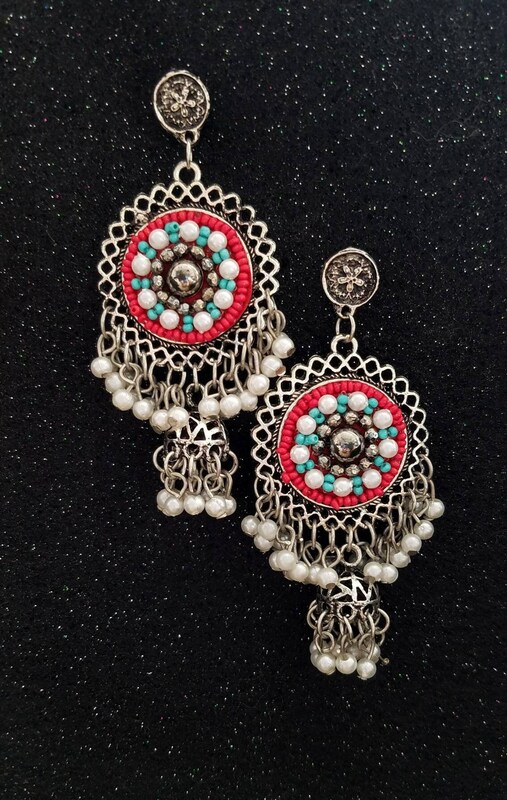 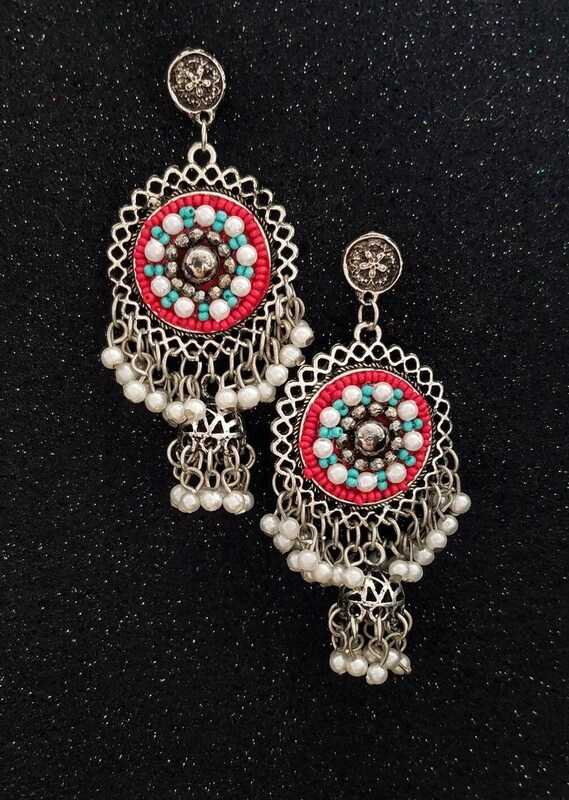 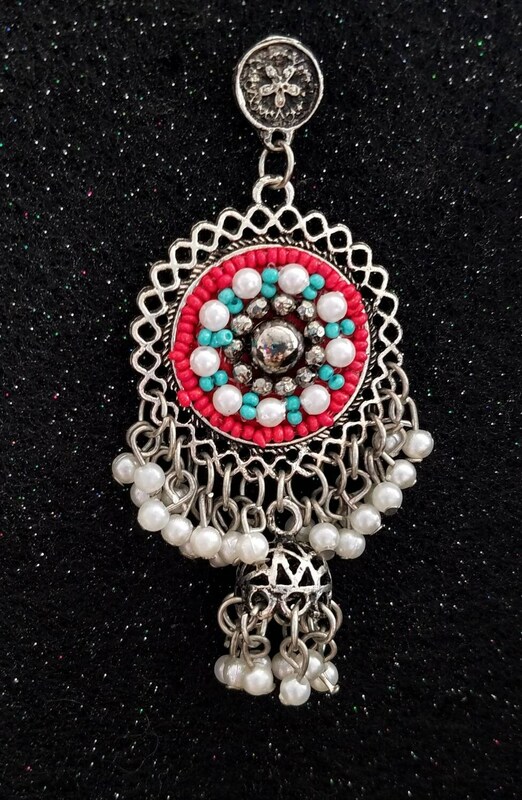 Colorful and fun earrings - center medallion of red beads, turquoise blue beads, pearls and silver color beads. 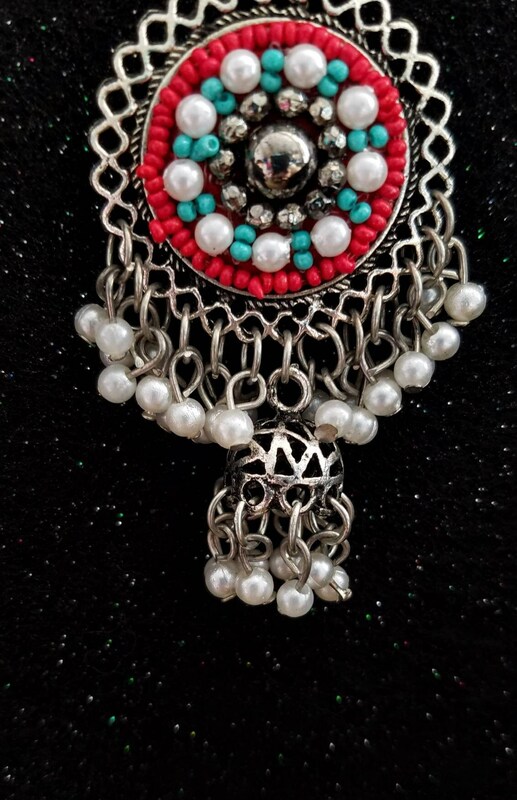 Dangly pearls dress it up! 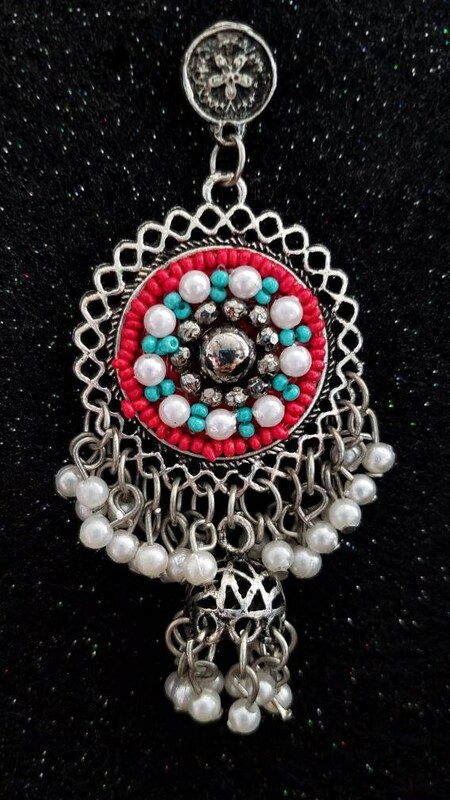 Perfect for day or night.